Like styling different types of pillows on a couch or bed, layering tile trim and profiles in your space can help tie an entire design together for a custom, well-appointed look. 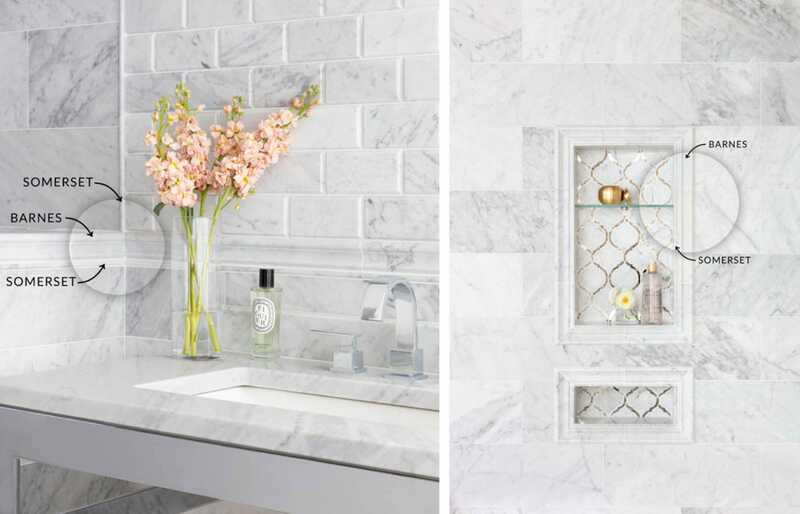 We’re sharing our best practices for layering tile to show you how you can take your space to the next level. The look below incorporates a combination of trim pieces and mosaics to transform a simple picture frame into an exquisite focal point. 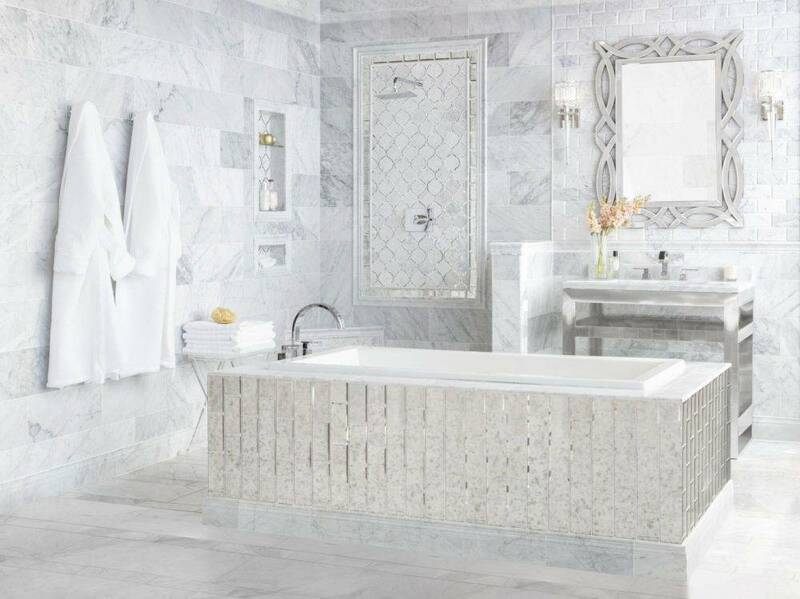 Since this space uses the Firenze Carrara marble collection throughout, the untrained eye may see it as subtly understated. Pay close attention to the transitions and see if you can identify how many trim pieces are used to accomplish this edited design. 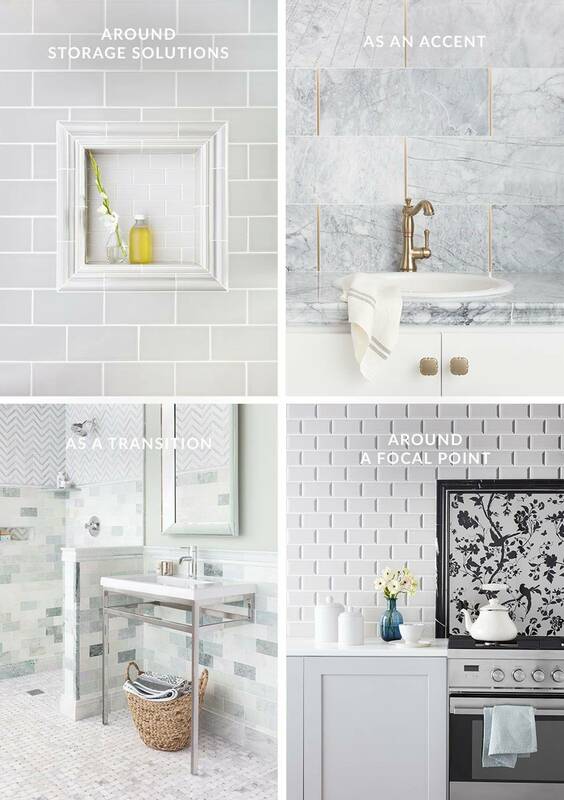 Incorporating different shapes and sizes from the same tile family can carry this elevated look throughout other areas in the room, such as the backsplash, half-wall and shower (photo top left). By sourcing all of our collection pieces from the same stone quarry, each piece compliments one another for stunning variation that isn’t overbearing. 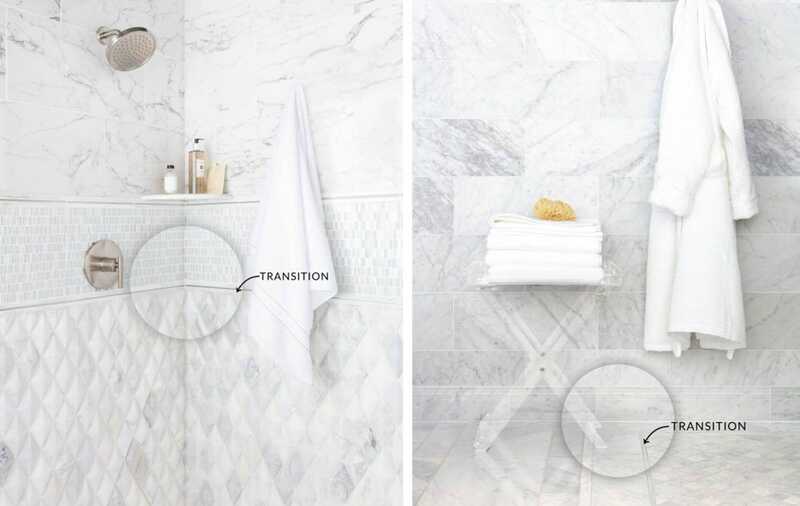 If you have a focal point, repeat the same design element in other areas, like a shower niche (photo top right). It’s important to think about how each section of your space will work together to form a unified environment. Including trim pieces between different materials, sizes, shapes and textures of tile can create the perfect transition. Dimensional tile can create dramatic depth and texture, but it can also leave an uneven edge when paired with other selections (photo top left). Incorporating transitional trim pieces will offer a seamless solution from one style to the next. Similarly, use them on the floor to separate different sections, such as the example above (photo top right). 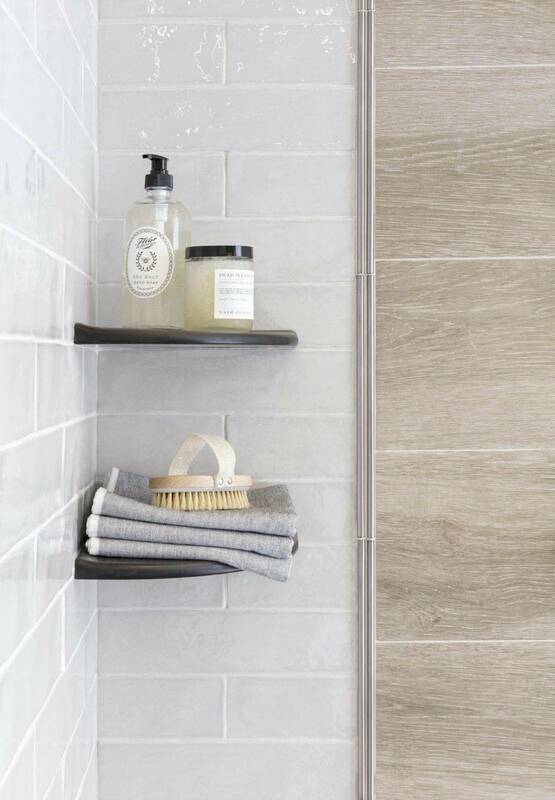 For tiles that vary in size, double up somersets and run them vertically for more impact. If your field tile is ceramic or porcelain, you can instantly upgrade your entire look by transitioning with higher-end materials, such as the Black Marquina Polished Marble Barnes. 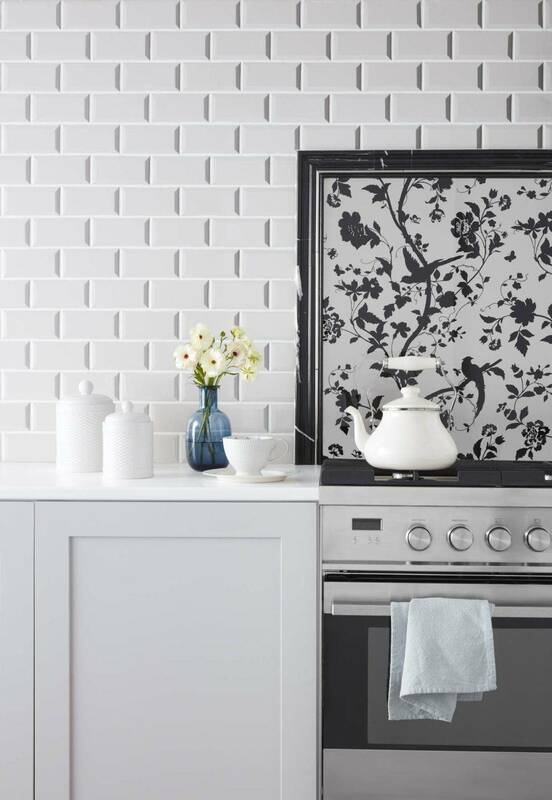 In the photo below, the black marble frame around the Laura Ashley splashback instantly elevates the backsplash and the surrounding ceramic subway tile. Pictured below is an example of how trim and profile pieces can provide an opportunity to coordinate with fixtures. 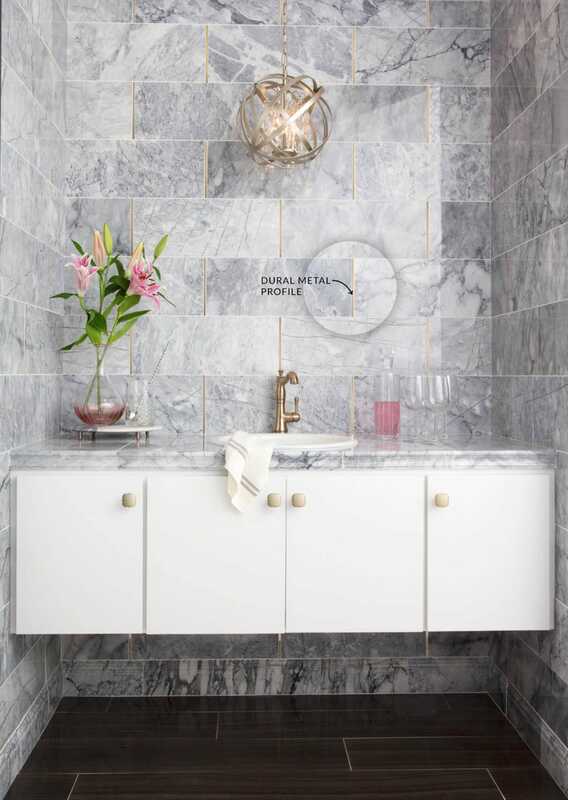 In cases where there’s no need for a transition or storage solution, metal profiles can be used in-between tiles as a unique accent that can accompany other design elements, such as faucets or lighting. 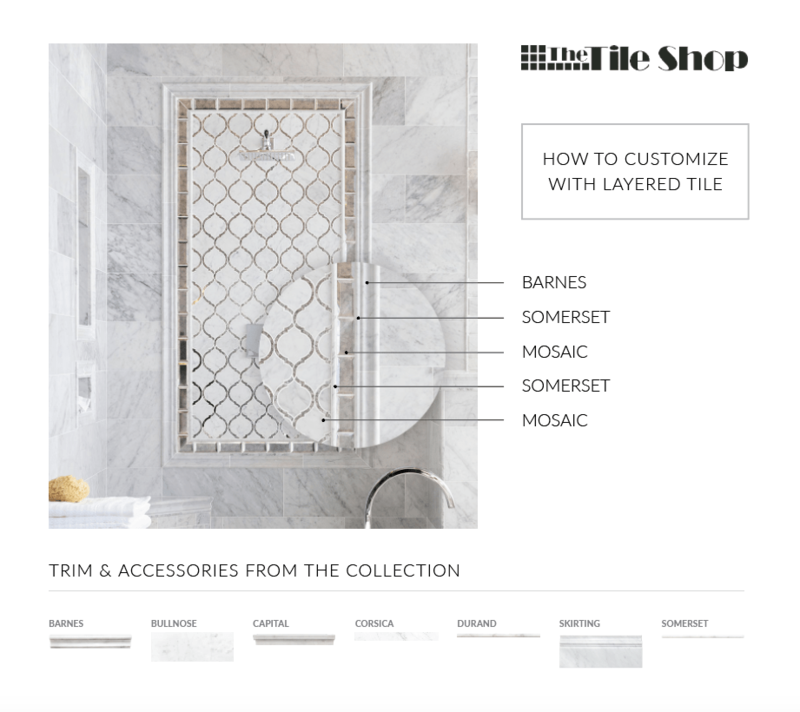 Layering trim and profile pieces can make every tile design better by adding dimension and interest; it shows that the design has been thoughtfully curated and has the finishing touches that elevate the space from basic to beautiful. Need ideas for your next remodel? 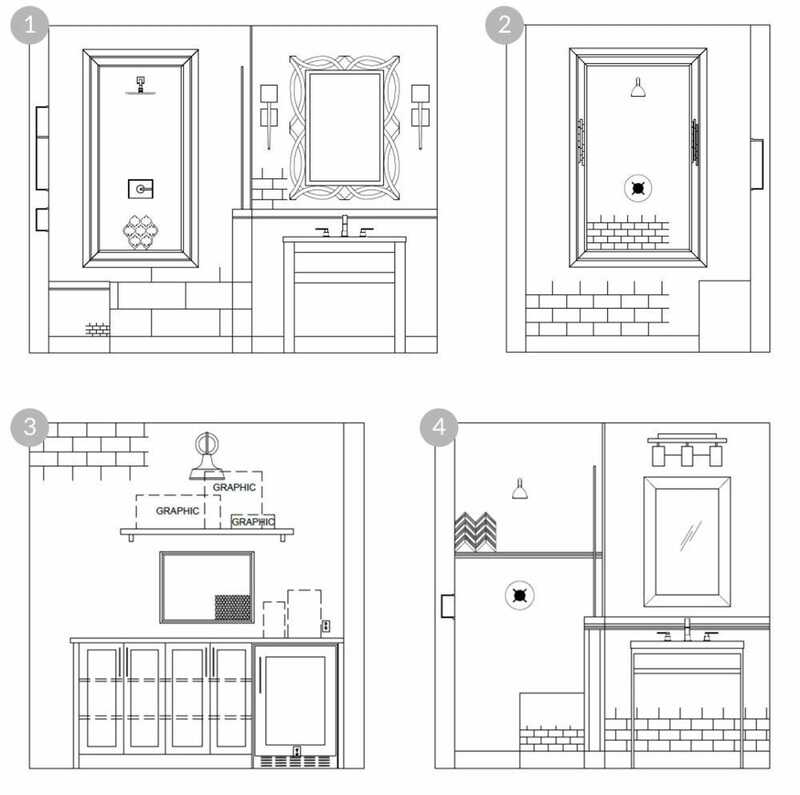 Here are a few examples of design plans that incorporate tile trim and profile pieces. Bring them into your local store or schedule a design consultation to discuss dimensions, quantity, styles and more.